stella joined me in bed super early the other morning, we were both restless to start the day, but i had other ideas then just some oatmeal and blue berries. she sleepily followed me into the bathroom where we picked out the flat sheets with the best prints and headed down stairs. stella veered off to wake rowan up to join us. using our tall table and a long skinny board for weight, i constructed a magical fort for my girls. 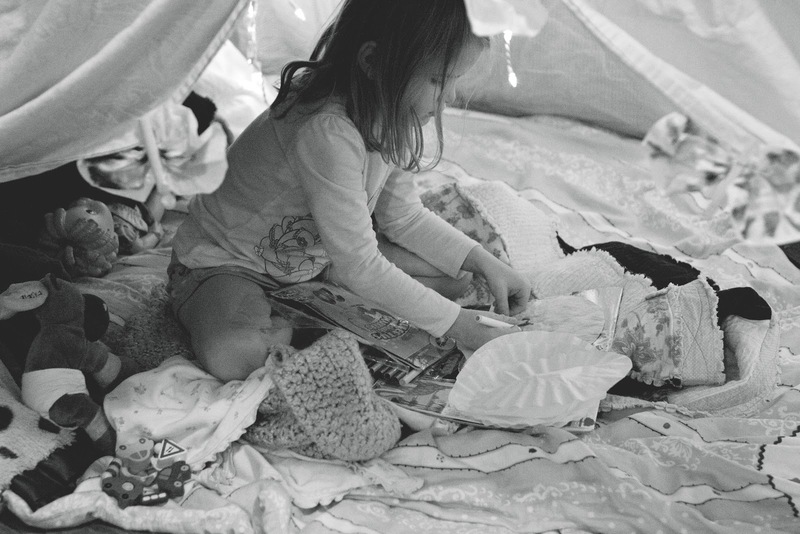 they collected blankets and pillows and sheets while i cut ribbons and tied back the opening. i picked out some white icicle lights that were still easy to reach from christmas and hung them around the inside while they debated over which movie they would watch on my laptop. 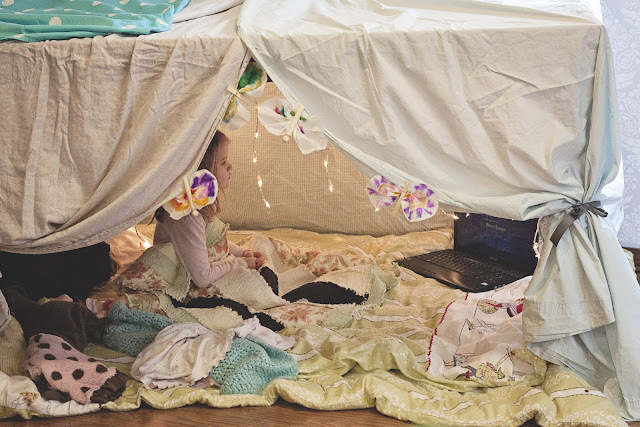 when their movie started winding down and they were getting restless, i suggested we decorate the fort. i quickly pulled out the supplies for one of my favorite kiddo projects, one i dreamt up when i was the art room coordinator at the boys and girls club, once upon a time. coffee filter butterflies: all you need is some coffee filters, markers, clothespins, and a spray bottle filled with water. you flatten out a filter and let your little color it to their hearts content. when they are done, lay them out on a junkie towel and wet down with the spray bottle. when they are dry you carefully pinch them in the middle a clip with the clothes pin. eventually we'll add pipe cleaners and faces and glitter, but you get the idea! what adventurous spur of the moment things have you done with your kids lately? I love this! 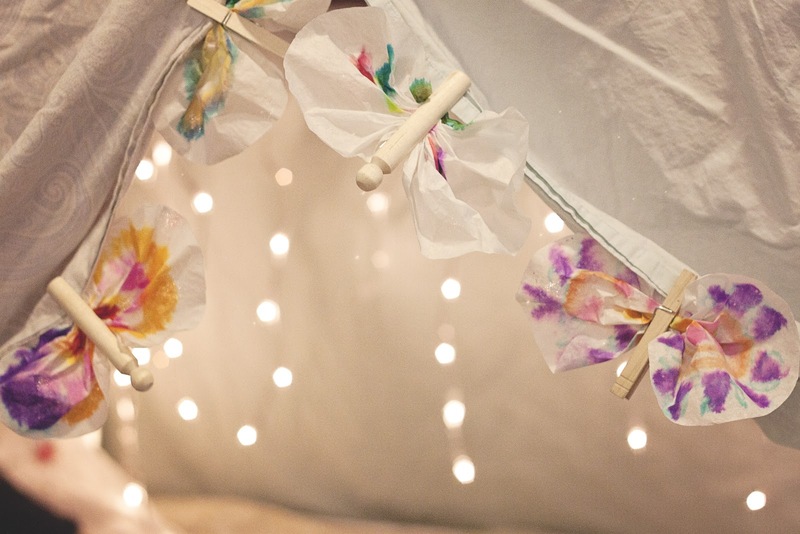 We love to make fairy hideouts in our house too ;) Very sweet!